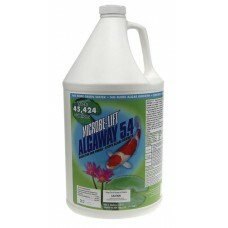 Microbe-Lift Algaway 5.4 is a natural and safe microbial maintenance product to regulate your water clarity and quality. 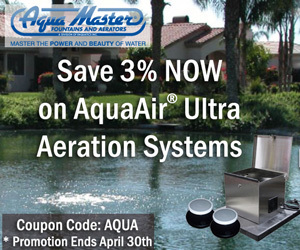 No more green water and green algae! This is safe for use with fish and plants (not snails, shrimp and crustaceans) in water gardens and water features to keep your water surface clear and beautiful. This product is not for use in earth ponds. Size = 1 GALLON (128 FL OZ). This bottle treats up to 45,424 gallons. This item typically ships out within 3-7 business days. Little GIANT Disappearing Fountain Kits are perfectly suited for those desiring a quick installat..